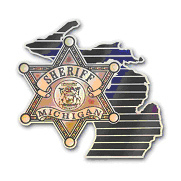 The Sanilac County Sheriff’s Office says an 18 year old man from the Decker area is believed to have accidentally shot himself while working on a gun. Deputies responded to a 9-1-1 call in the 3000 block of Leslie Road in Evergreen Township yesterday afternoon. Authorities say an 18 year old male was building a .22-caliber gun when he accidentally discharged the firearm, striking himself in the abdomen. Two others were also working nearby and called authorities to report the incident. The subject was taken to Saginaw Covenant Hospital for treatment of injuries and his name is being withheld at this time. According to deputies, the 18 year old stated that he forgot there was a bullet in the gun when he started working on it.